The Brewery Inn is one of 2 pubs on ‘The Street’ in Ashtead. The other pub is called ‘The Leg of Mutton & Cauliflower’ – definitely worth visiting for their name alone, don’t you think? The Brewery Inn is quite large with a separate outdoor dining area that also includes a playhouse and entertainment for young children. The pub seems dog-friendly as well and we saw the cutest little English bulldog puppy lounging around when we went. The menu includes traditional British pub fare as well as pasta, sandwiches, flatbreads and a special healthy menu featuring superfood salads and bakes all under 500 calories. They also have a separate children’s menu for the little ones. 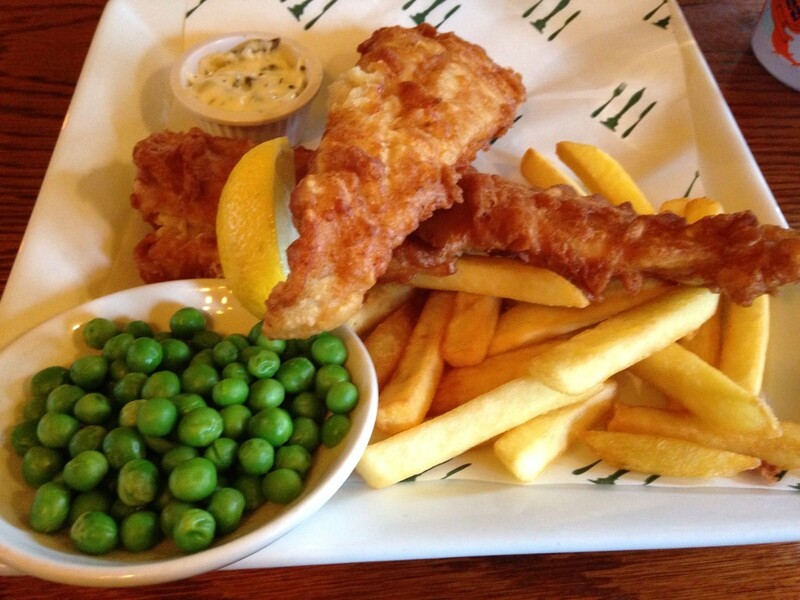 Little A and I went for the fish and chips which were perfectly crisp and absolute rainy day comfort food. I had just completed a challenge that involved living without sugar for a week. So, how did I celebrate? 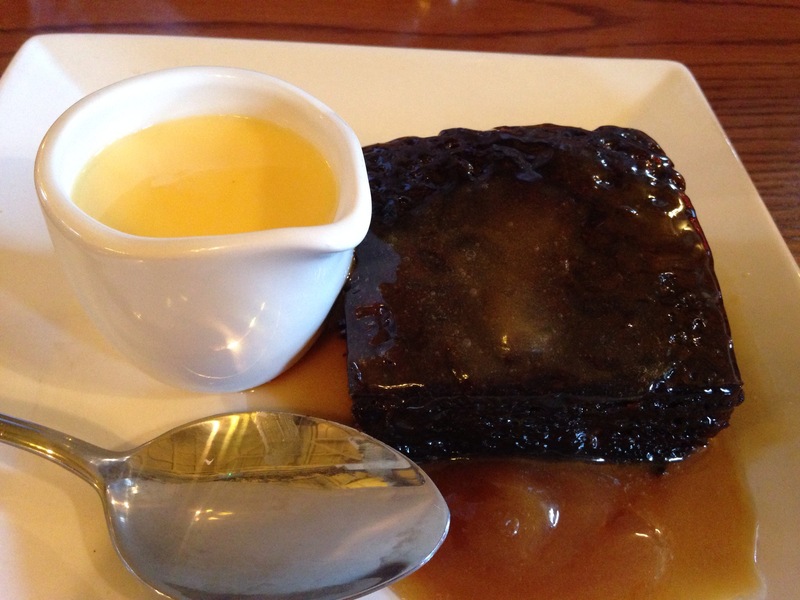 By devouring most of this marvellous, warm sticky toffee pudding, served with warm custard and caramel sauce – YUM! 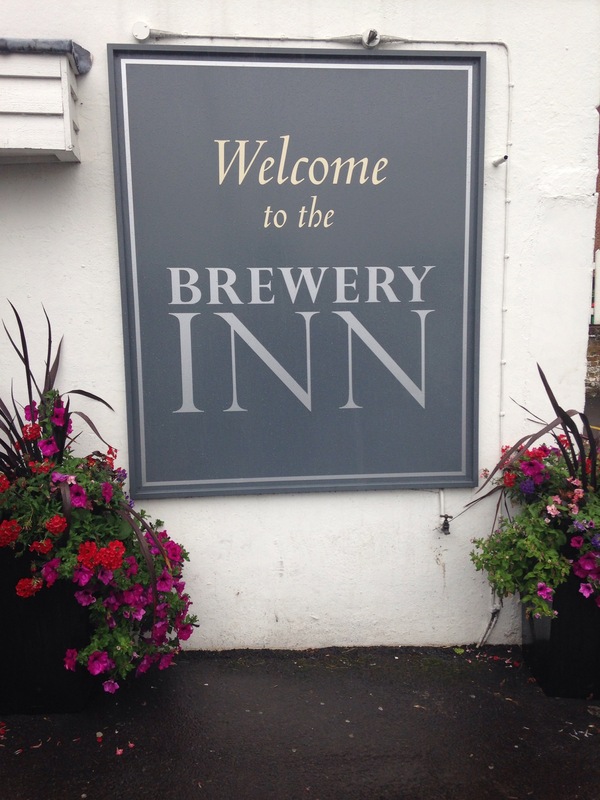 The Brewery Inn was a great introduction to the Surrey pub scene and I’m sure we will be back again soon. I’m starting from scratch in Surrey and would love any food recommendations – I’ve got The Bear (Oxshott), The Old Plough (Cobham) and of course, The Leg of Mutton & Cauliflower (Ashtead) on my list – any others we need to check out? Hey there if you want fantastic Thai then head to the Plough in Leatherhead, just two minutes from the Brewery. Another Plough which does lovely food is the Plough in Leigh. 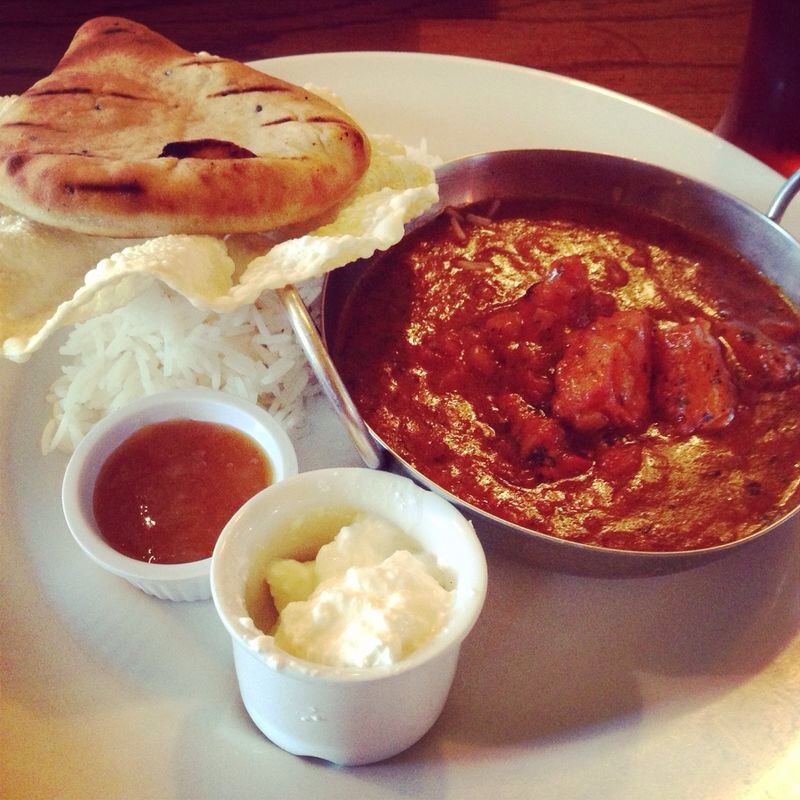 Another gem further in the countryside is the Parrot in Forest Green, I can highly recommend! Hey Nicola, Thanks so much for your comment and for all these recommendations. I will add them to my list. The Plough in Leatherhead isn’t far from me so I’m definitely going to check out the Thai food there! Thanks again! !